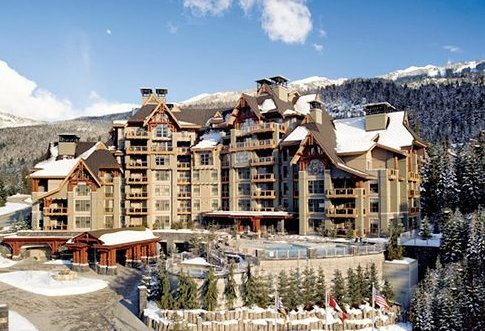 Stay at a Whistler ski resort nestled in an ideal location between two magnificent peaks. 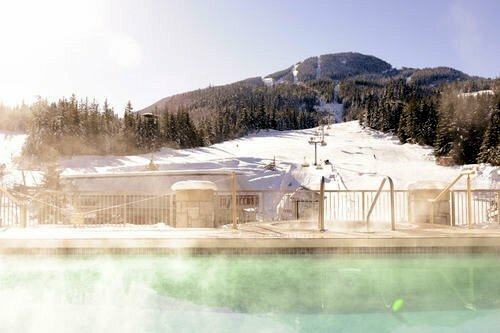 We've listed the top resorts in Whistler, only about 75 miles north of Vancouver. Whistler and Blackcombe offer some the best glades, glacier and trails around. Whistler is proud that the tradition continues today and is consistently the top ski and snowboard resort in the country. 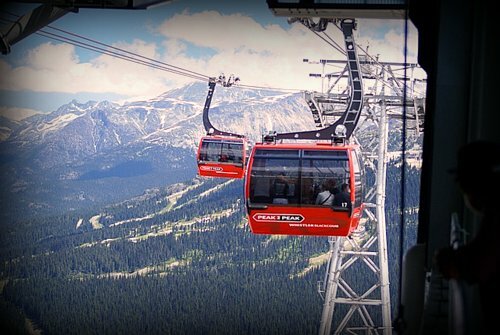 Now the amazing PEAK 2 PEAK Gondola has opened the most exciting days of Whistler lay ahead. An amazing 16 bowls, glaciers, and hundreds of trails cover the more than 8,000 acres all within easy distance of the incredibly vibrant village. But where are the best places to stay? Any one of these outstanding resorts will deliver a great vacation. 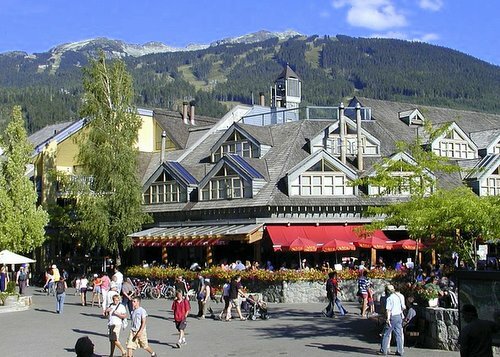 Top 25 Whistler Resort Deals with Reviews. You may also like to check out our Lake Louise Ski Resorts of our Family Ski Resorts. 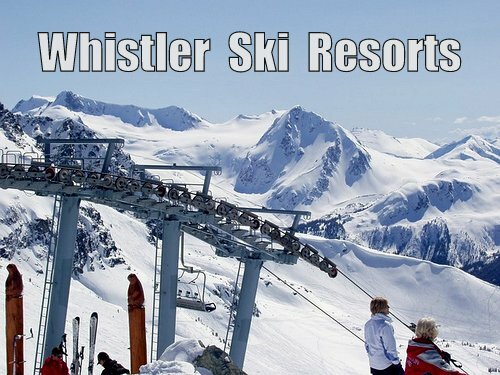 For a quality honeymoon or family vacation this is our top choice for Whistler. Amazing views of the mountains, deep spa tubs, free internet. Listed as one of the best resorts in the world by the Zagat Guide. Another stunning new resort with a great central location with luxury surroundings. Well fitted out rooms. 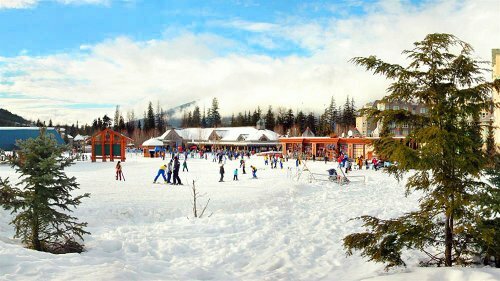 The 83 room Pacific Whistler Village Centre is located on the snow, and only a few minutes away from the action. Great views from this all-suite resort is only start of a luxury property which offers a heated saltwater pool, and hot tubs. This resort consistently gets outstanding reviews since opening and received a few awards recently for excellence. 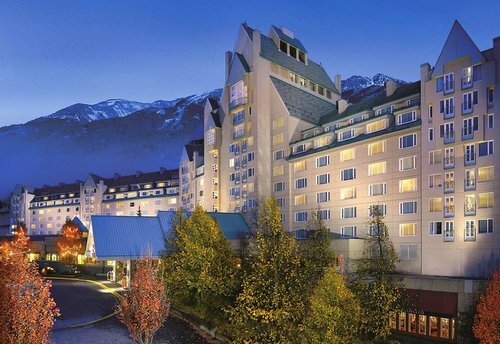 Click here for more on Pan Pacific Whistle Mountainside. Click here for more on Pan Pacific Whistler Village Centre. The Fairmont Chateau has been a long outstanding resort in Whistler. Apart from being a top ski in - ski out destination, the resort also offers a top class health club, spa and the largest pool around for year round swimming. A top new resort in the Canadian Rockies. We added this resort as a feature because it has popped up in top travel guides as one of a hand full of the worlds best new resorts. We did a little of our own research as well and found this is really the case. The reviews are great. We have kept an ear out since the opening and the Adara is yet to acheive really outstanding reviews but does have a lot of potential. This ski resort has great views towards Whistler. There is lots to do with personalized recreational tours and excursions, with including equipment rentals, skiing and snowboarding, golf, river rafting, zip trekking, bungee jumping and more. What is mostly adored are the boutique hotel touches like the extra care taken to deliver top room amenities. Guests really love the decor, location, big space parking areas and rainforest sounds pumping through in the summer time through their own Ipod station. Think Snow! Great Ski Deals. Book now on Expedia!